This Pacific Seacraft Crealock 37 is the rose among the thorns. Call me and I'll explain to you the difference. TheListing Broker has owned one of these great cruising boats. I loved and appreciated my Crealock and sailed her far. I know how these boats behave in the ocean. Pretty good! This PSC 37 Adventure has had 100K invested in the last few years since 2015 and she is so Ready to Go! 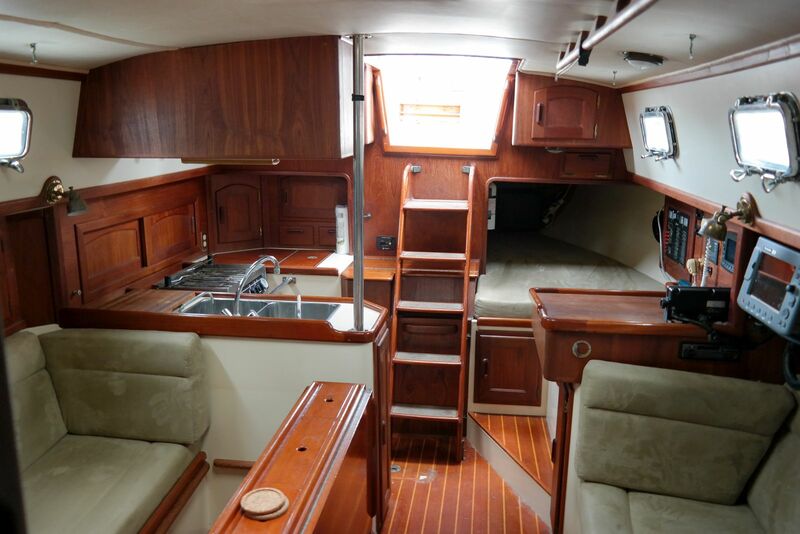 We are so pleased to offer a really well outfitted and wonderful 1995 Pacific Seacraft 37! 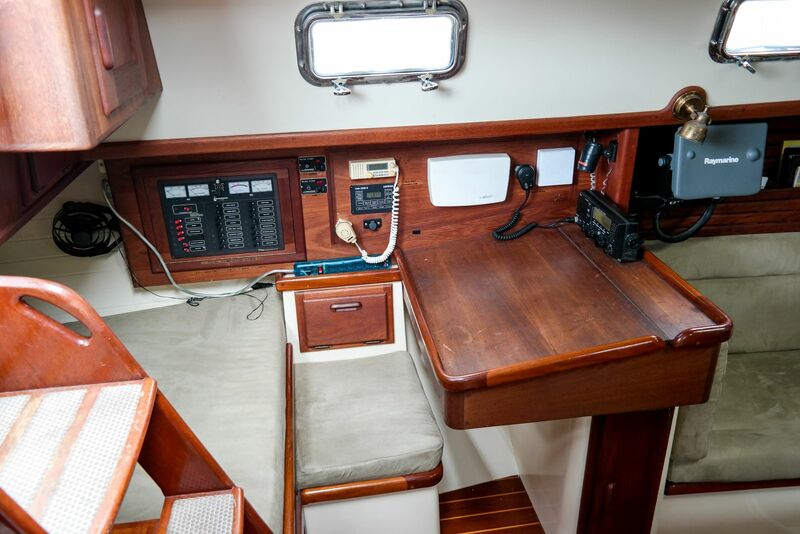 She is complete for cruising with new electronics, AIS, SSB, Wind, Solar, Windvane steering, and even a Portland Pudgy live raft dinghy. 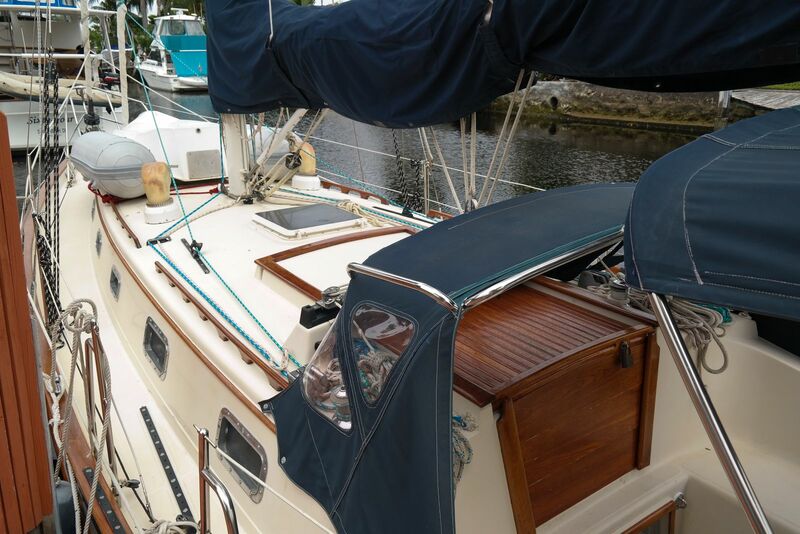 Nice that the last owner did all that investment for you as his cruising plans changed! This is the boat you are always longing to find. Don’t wait. 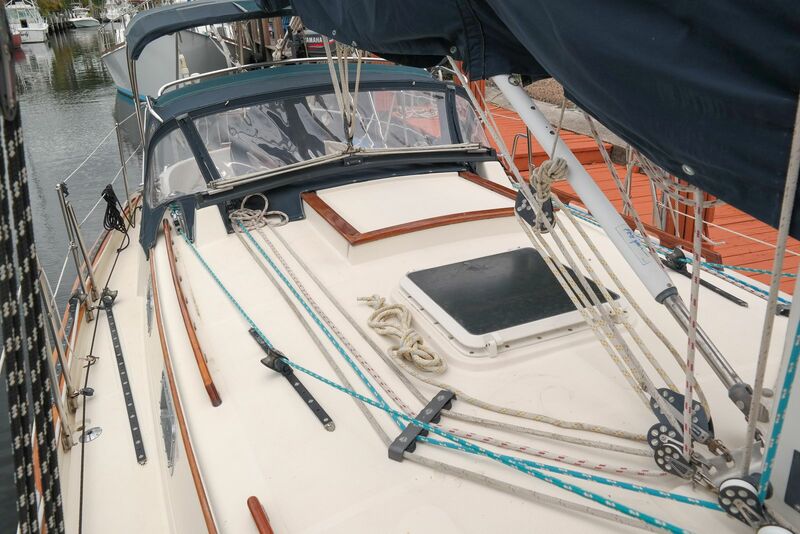 You already know that the Crealock 37 is proven and appreciated for her seaworthy build quality and trusted sailing characteristics. 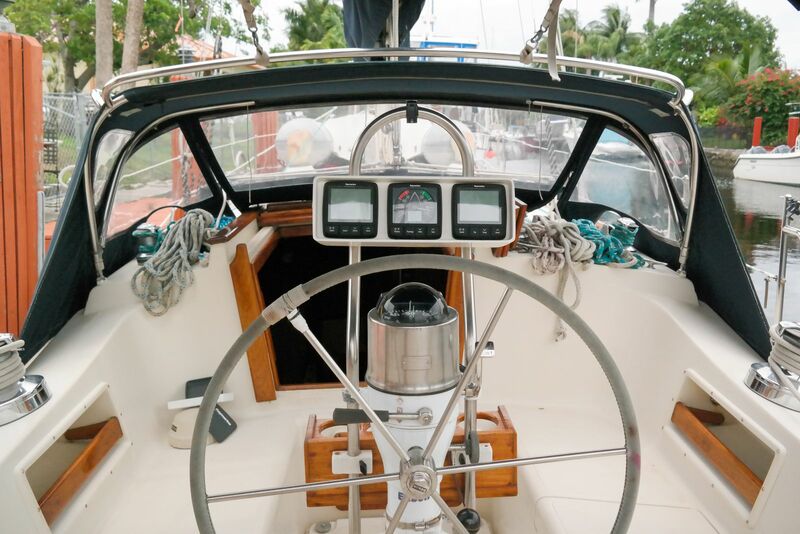 This is a true blue water cruiser capable of sailing far and a particular favorite of solo sailors and cruising couples. 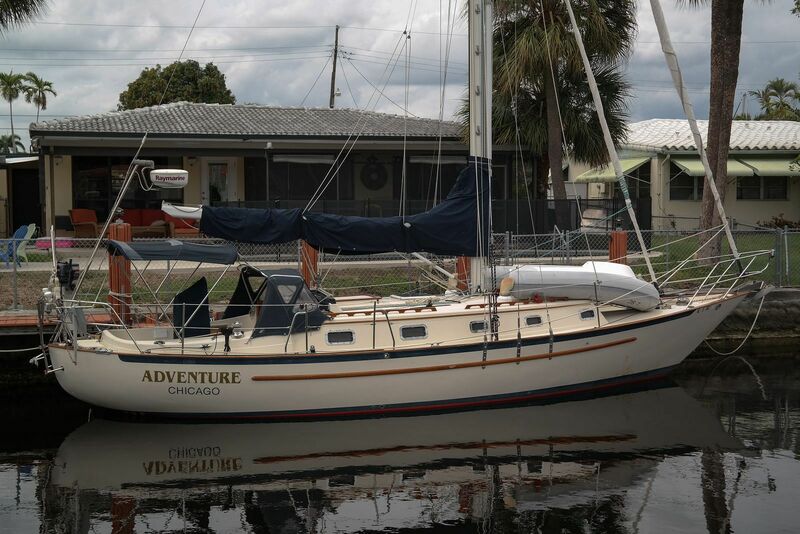 She’s easy to sail as a couple or solo. So many of these ideally sized sailboats have circumnavigated or at least taken their people everywhere they wanted to go. We are proud to present our rather incredible offering with so many upgrades recently in preparation for YOUR cruising success. 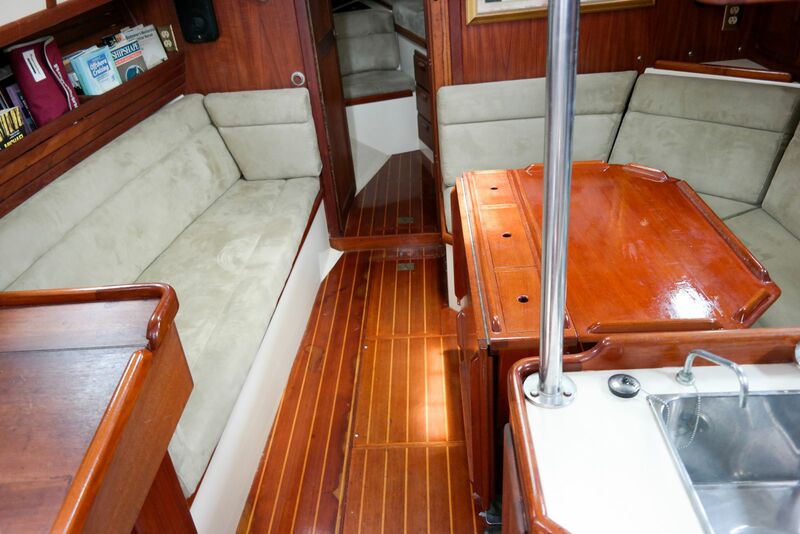 She is not only well equipped by she is beautiful with all the exterior teak newly refinished. 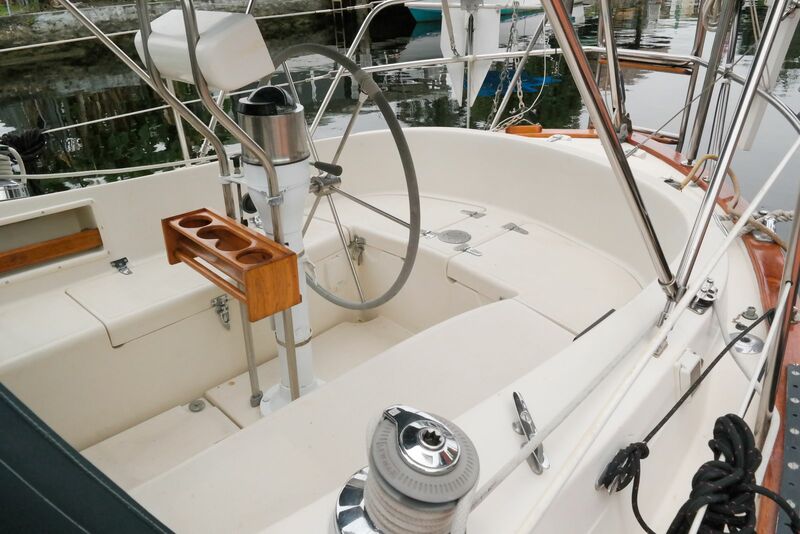 This is one of the best out fitted capable blue water cruisers that we have to offer for a couple or a solo sailor. Both headsails are on furlers! 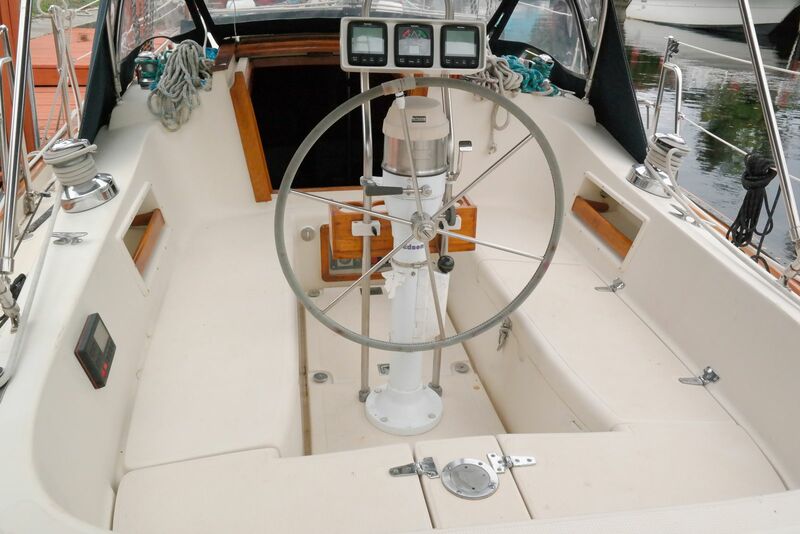 You have a Cape Horn self steering gear! This Crealock design is well known for building ocean capable sailboats that are strong enough for the demands of the sea. 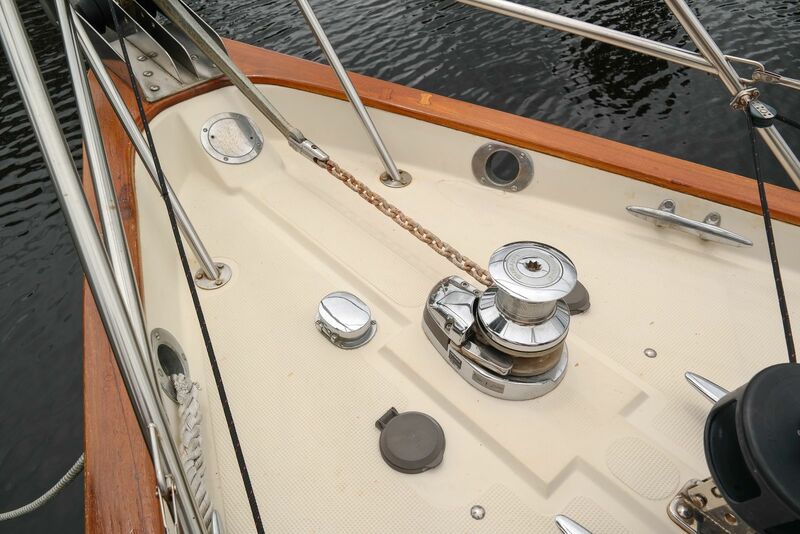 She’s a stout little cutter with a full keel and a fine cutaway forefoot and skeg hung rudder. She’s salty with a classic shear line making her look like a real boat. 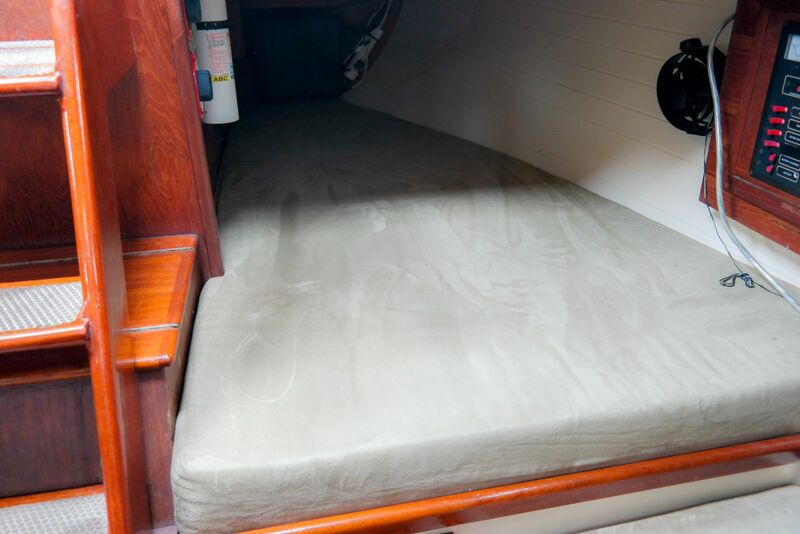 The hull is solid fiberglass with vinyl ester resin. Her 6,200 lbs of lead ballast and full 16,000 lbs displacement give her a sea kindly motion. With 4’11” draft she is perfect for the Bay and the Bahamas and Florida! Cutter rigged as she is, she has a beautiful divided sail plan that is totally manageable sail plan. Ordered with the single-handers package she is very easy to sail and safe because you do everything in the cockpit. 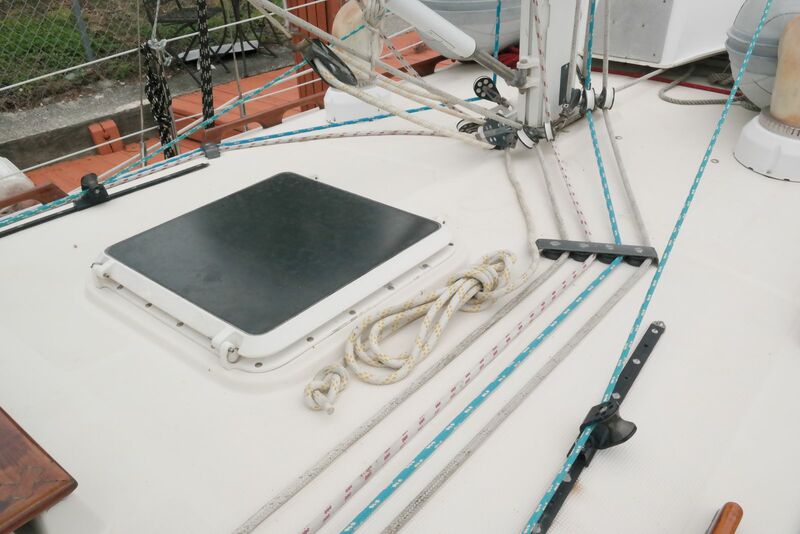 For a solo sailor this is a perfect size and for a couple it is very easy to sail this boat and the space down below will amaze you. 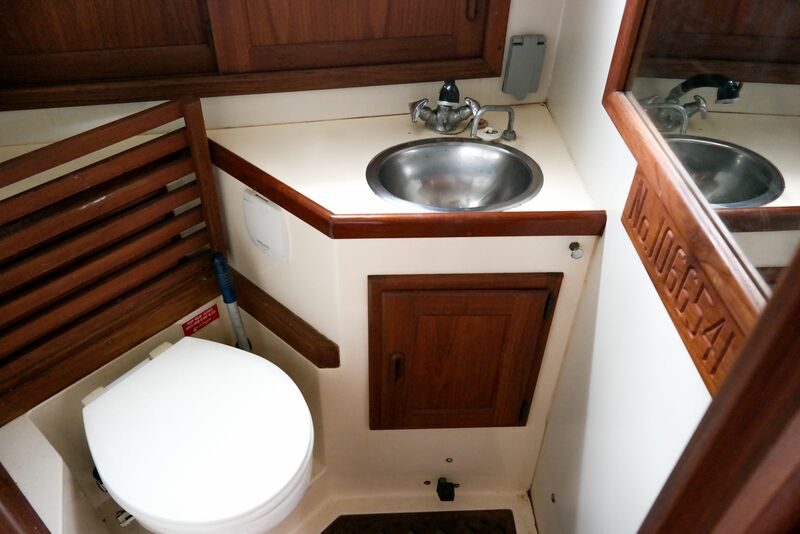 In fact the headroom is 6’4” and she sleeps six if you really need to with two doubles and two single berths. 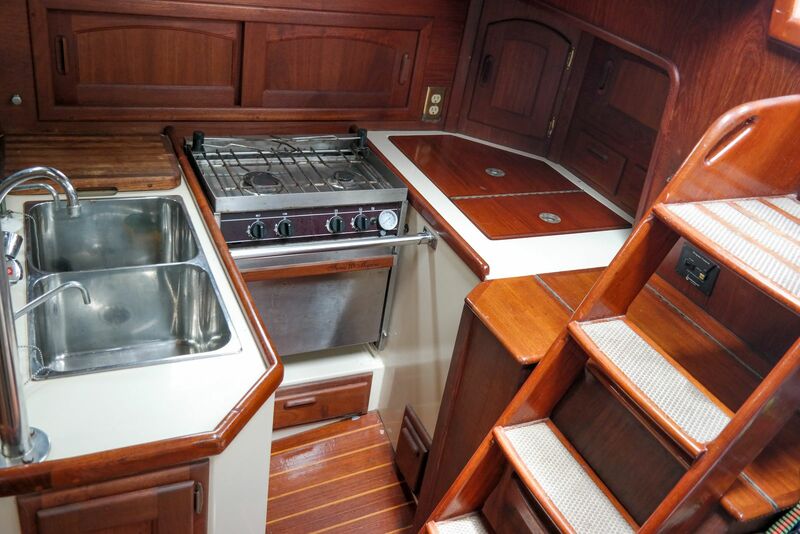 As you may know, Pacific Seacraft built beautiful Bill Crealock designs in Southern California for many many years. In about 2007 the factory moved to North Carolina under new ownership. The factory does a lot of refits and provides wonderful support to the owners of Pacific Seacraft yachts which is a wonderful thing!